Customer requested Sreeni Labs to make BL001 first on few mg scale. 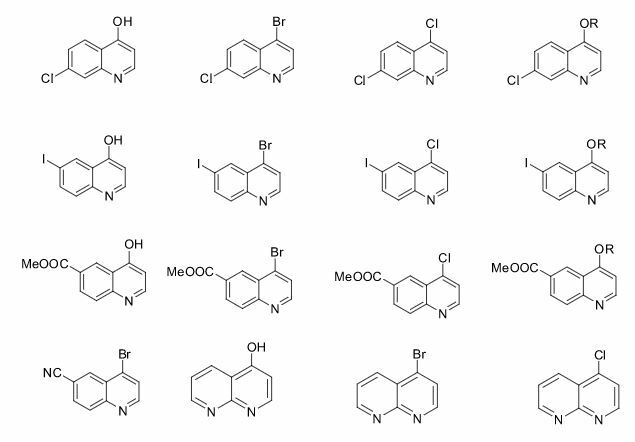 Sreeni labs synthesized and supplied in a short time with full characterization data. Later, customer requested us to make it on several gram scale and we synthesized and delivered as custom synthesis project. Doglovers, Various types of food can actually be fatal for dogs due to a common, all natural sweetener called xylitol (yikes). Tis the season for snowball fights, Christmas decorations, and food – SO MUCH FOOD. If you celebrate Christmas (or Hanukkah), chances are you’ll be indulging this holiday season. While I fully support everyone’s right to treat themselves, a lot of kids (and parents) don’t realize that various types of food can actually be fatal for dogs due to a common, all natural sweetener called xylitol (yikes). Because I’m a dog lady, I compiled a list of products that contain xylitol for dog owners to refer to! Xylitol is a sugar alcohol commonly used in candy and chewing gum (and some other products, such as peanut butter.) It is also found in some pharmaceuticals and oral health products such as chewable vitamins and throat lozenges. While Xylitol is safe for humans, xylitol and dogs do not mix. The compound doesn’t affect glucose levels in people, but when ingested by dogs it can cause a dangerous surge of insulin. (In as little as 15 minutes, the blood sugar of a dog that has eaten gum containing Xylitol may register a marked drop in blood sugar.) At higher doses, Xylitol is believed toxic to the canine liver. In the past 5 years, Pet Poison Helpline, an animal poison control based out of Minneapolis, MN, has had over 1500 calls for xylitol poisoning, due to the growing awareness of this common kitchen toxin. In both humans and dogs, the level of blood sugar is controlled by the release of insulin from the pancreas. Xylitol does not stimulate the release of insulin from the pancreas in humans. However, when non-primate species (e.g., a dog) eat something containing xylitol, the xylitol is quickly absorbed into the bloodstream, resulting in a potent release of insulin from the pancreas. This rapid release of insulin results in a rapid and profound decrease in the level of blood sugar (hypoglycemia), an effect that occurs within 10-60 minutes of eating the xylitol. Untreated, this hypoglycemia can be life-threatening.It can also be used in home baking. Just three grams of Xylitol can kill a 65-pound dog. Because the amount of sweetener used in sugar-free chewing gums varies by manufacturer and product, the number of sticks of gum that would prove fatal to a pooch of that size can’t be stated with precision. As a general rule of thumb, between eight and ten pieces of gum might be deadly to a 65-pound canine, but a smaller dog could easily die after ingesting far less (perhaps as few as two sticks of gum). 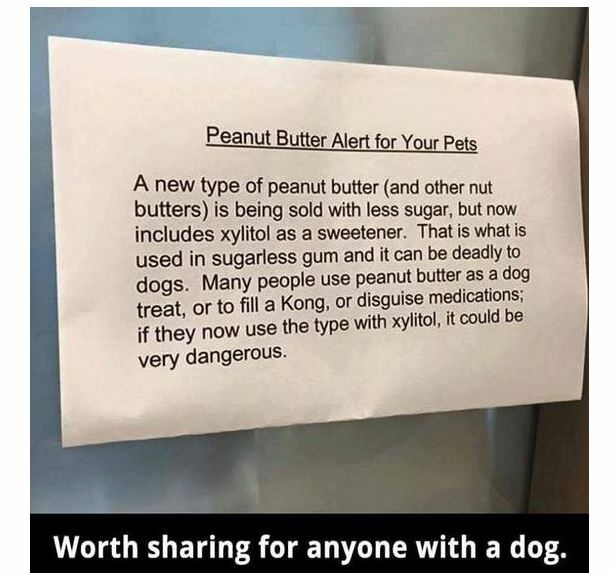 If you suspect that your pet has eaten a xylitol-containing product, please contact your veterinarian or Pet Poison Helpline (800-213-6680) immediately. Do not induce vomiting or give anything orally to your dog unless specifically directed to do so by your veterinarian. It is important to get treatment for your dog as quickly as possible. As some dogs may already be hypoglycemic, inducing vomiting can make them worse! A presumptive diagnosis of xylitol poisoning is made if there is a known or possible history that the dog ate something containing xylitol, coupled with symptoms of hypoglycemia. Since toxicity develops rapidly, your veterinarian will not wait for a confirmed diagnosis before beginning treatment. There is no antidote for xylitol toxicity, although treatment with sugar supplementation, IV fluids, and liver protective drugs are beneficial. Fast and aggressive treatment by your veterinarian is essential to effectively reverse any toxic effects and prevent the development of severe problems. If your dog has just eaten xylitol but has not yet developed any clinical signs, your veterinarian may induce vomiting to prevent further absorption, depending on what your dog’s blood glucose level is. If clinical signs have developed, treatment will be based on the symptoms that are being shown. Since xylitol toxicity can cause both low blood glucose and low potassium levels, your veterinarian will perform blood work to determine whether these problems need to be treated. In all cases, your dog will require hospitalization for blood sugar monitoring, dextrose administration, intravenous fluids, liver protectants, and any other supportive care that may be needed. Blood work should be monitored frequently to make sure that blood sugar and liver function remain normal. The prognosis is good for dogs that are treated before symptoms develop, or for dogs that develop uncomplicated hypoglycemia that is reversed rapidly. If liver failure or a bleeding disorder develops, the prognosis is generally poor. If the dog lapses into a coma, the prognosis is very poor. If you personally use products containing xylitol, make sure they are stored safely, out of reach of your pets. Do not share any food that may contain xylitol with your pets. Only use pet toothpaste for pets, never human toothpaste. Keep in mind that there are some veterinary products that contain small amounts of xylitol (e.g., gabapentin medication, mouthwashes). At prescribed doses, these should not result in xylitol poisoning; however, if ingested in large amounts, can potentially result in poisoning. Many people start a new year with a plan to live a healthier life. But, unbeknownst to some dog owners, a common sugar additive that is used in reduced sugar and diet products has the ability to be lethal to their pup. That sugar additive is called xylitol. Xylitol is a sugar alcohol commonly used in candy and chewing gum (and some other products, such as peanut butter.) It is also found in some pharmaceuticals and oral health products such as chewable vitamins and throat lozenges. While Xylitol is safe for humans, it can be harmful to dogs!! Here is a list of the known products that contain xylitol. In the past 5 years, Pet Poison Helpline, an animal poison control based out of Minneapolis, MN, has had over 1500 calls for xylitol poisoning, due to the growing awareness of this common kitchen toxin. Do not induce vomiting or give anything orally to your dog unless specifically directed to do so by your veterinarian. It is important to get treatment for your dog as quickly as possible. To promote all-natural methods to raise your pet in a healthy manner. 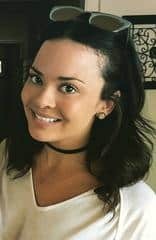 Chelsea Rivera founded SimpleWag with one goal in mind: to help pet owners ensure their pets live the healthiest lives possible! SimpleWag offers its audience access to loads of great content, including expert information provided by staffed vets, trainers, and behavioral specialists. Additionally, SimpleWag offers a pet food alert that notifies you if your pet’s food has been recalled.There is so information out there that it can be overwhelming for well-intentioned pet owners but SimpleWag’s goal is to do the research so you don’t have to! In addition to working for SimpleWag, Chelsea spends her days getting bossed around by her 5 lb. Maltipoo, Baby Rose, in Los Angeles, CA. Follow SimpleWag on Facebook or Instagram @simplewag. Sreeni Labs Private Limited, Hyderabad, India is ready to take up challenging synthesis projects from your preclinical and clinical development and supply from few grams to multi-kilo quantities. Sreeni Labs has proven route scouting ability to design and develop innovative, cost effective, scalable routes by using readily available and inexpensive starting materials. The selected route will be further developed into a robust process and demonstrate on kilo gram scale and produce 100’s of kilos of in a relatively short time. Sreeni Labs based in Hyderabad, India is working with various global customers and solving variety of challenging synthesis problems. Their customer base ranges from USA, Canada, India and Europe. Sreeni labs Managing Director, Dr. Sreenivasa Reddy Mundla has worked at Procter & Gamble Pharmaceuticals and Eli Lilly based in USA. The main strength of Sreeni Labs is in the design, development of innovative and highly economical synthetic routes and development of a selected route into a robust process followed by production of quality product from 100 grams to 100s of kg scale. 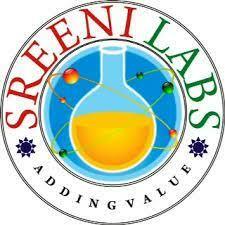 Sreeni Labs main motto is adding value in everything they do. Over the years, Sreeni labs has successfully made a variety of products ranging from few mg to several kilogram scale. 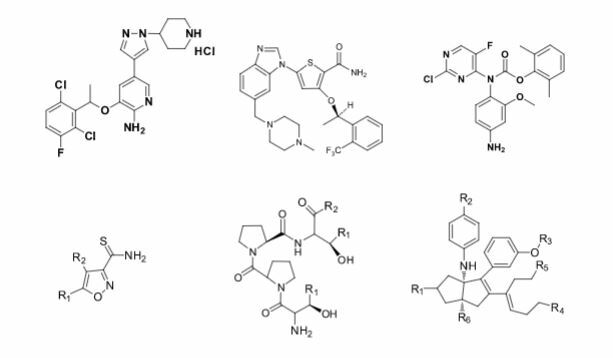 Sreeni labs has plenty of experience in making small select libraries of compounds, carbocyclic compounds like complex terpenoids, retinal derivatives, alkaloids, and heterocyclic compounds like multi substituted beta carbolines, pyridines, quinolines, quinolones, imidazoles, aminoimidazoles, quinoxalines, indoles, benzimidazoles, thiazoles, oxazoles, isoxazoles, carbazoles, benzothiazoles, azapines, benzazpines, natural and unnatural aminoacids, tetrapeptides, substituted oligomers of thiophenes and fused thiophenes, RAFT reagents, isocyanates, variety of ligands, heteroaryl, biaryl, triaryl compounds, process impurities and metabolites. Sreeni Labs is Looking for any potential opportunities where people need development of cost effective scalable routes followed by quick scale up to produce quality products in the pharmaceutical & specialty chemicals area. 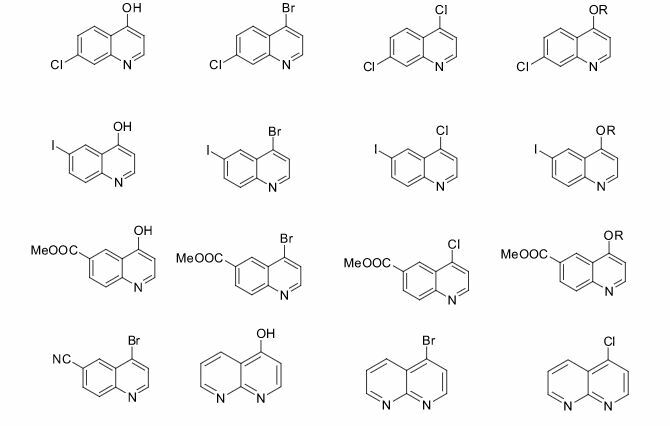 They can also take up custom synthesis and scale up of medchem analogues and building blocks. They have flexible business model that will be in sink with customers. 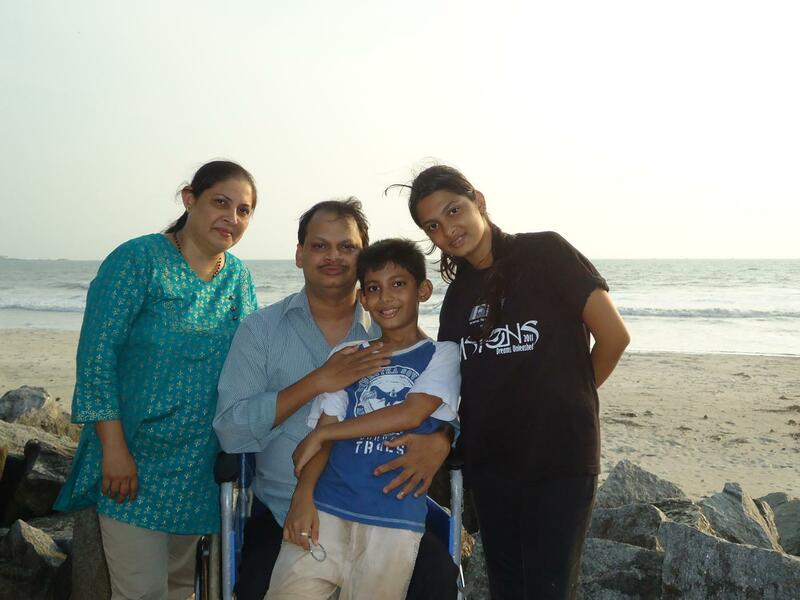 One can test their abilities & capabilities by giving couple of PO based (fee for service) projects. One virtual biotech company customer from USA, through a common friend approached Sreeni Labs and told that they are buying a tetrapeptide from Bachem on mg scale at a very high price and requested us to see if we can make 5g. We accepted the challenge and developed solution phase chemistry and delivered 6g and also the process procedures in 10 weeks time. The customer told that they are using same procedures with very minor modifications and produced the tetrapeptide ip to 100kg scale as the molecule is in Phase III. One East coast customer in our first meeting told that they are working with 4 CROs of which two are in India and two are in China and politely asked why they should work with Sreeni Labs. We told that give us a project where your CROs failed to deliver and we will give a quote and work on it. You pay us only if we deliver and you satisfy with the data. They immediately gave us a project to make 1.5g and we delivered 2g product in 9 weeks. After receiving product and the data, the customer was extremely happy as their previous CRO couldn’t deliver even a milligram in four months with 3 FTEs. 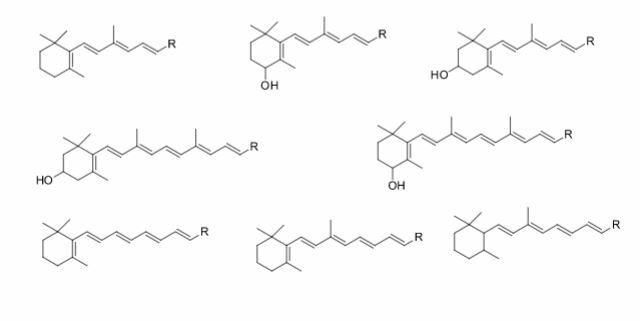 One Midwest biotech company was struggling to remove palladium from final API as they were doing a Suzuki coupling with a very expensive aryl pinacol borane and bromo pyridine derivative with an expensive ligand and relatively large amount of palldium acetate. 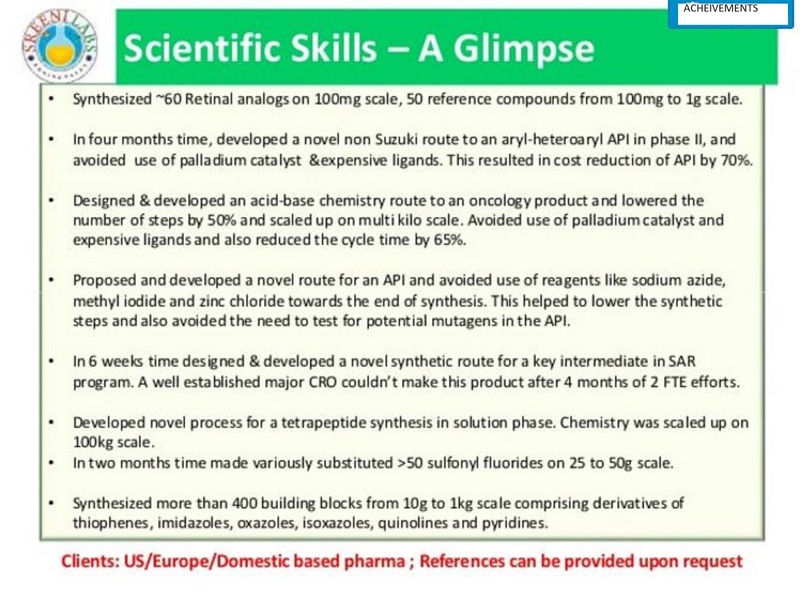 The cost of final step catalyst, ligand and the palladium scavenging resin were making the project not viable even though the product is generating excellent data in the clinic. At this point we signed an FTE agreement with them and in four months time, we were able to design and develop a non suzuki route based on acid base chemistry and made 15g of API and compared the analytical data and purity with the Suzuki route API. This solved all three problems and the customer was very pleased with the outcome. One big pharma customer from east coast, wrote a structure of chemical intermediate on a paper napkin in our first meeting and asked us to see if we can make it. We told that we can make it and in less than 3 weeks time we made a gram sample and shared the analytical data. The customer was very pleased and asked us to make 500g. We delivered in 4 weeks and in the next three months we supplied 25kg of the same product. Through a common friend reference, a European customer from a an academic institute, sent us an email requesting us to quote for 20mg of a compound with compound number mentioned in J. med. chem. paper. It is a polycyclic compound with four contiguous stereogenic centers. We gave a quote and delivered 35 mg of product with full analytical data which was more pure than the published in literature. Later on we made 8g and 6g of the same product. One West coast customer approached us through a common friend’s reference and told that they need to improve the chemistry of an advanced intermediate for their next campaign. At that time they are planning to make 15kg of that intermediate and purchased 50kg of starting raw material for $250,000. They also put five FTEs at a CRO for 5 months to optimize the remaining 5 steps wherein they are using LAH, Sodium azide, palladium catalyst and a column chromatography. We requested the customer not to purchase the 50kg raw material, and offered that we will make the 15kg for the price of raw material through a new route in less than three months time. You pay us only after we deliver 15 kg material. The customer didn’t want to take a chance with their timeline as they didn’t work with us before but requested us to develop the chemistry. In 7 weeks time, we developed a very simple four step route for their advanced intermediate and made 50g. We used very inexpensive and readily available starting material. Our route gave three solid intermediates and completely eliminated chromatographic purifications. 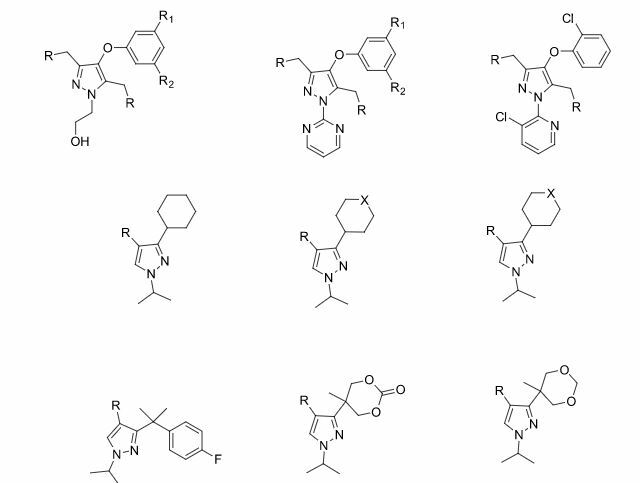 One of my former colleague introduced an academic group in midwest and brought us a medchem project requiring synthesis of 65 challenging polyene compounds on 100mg scale. 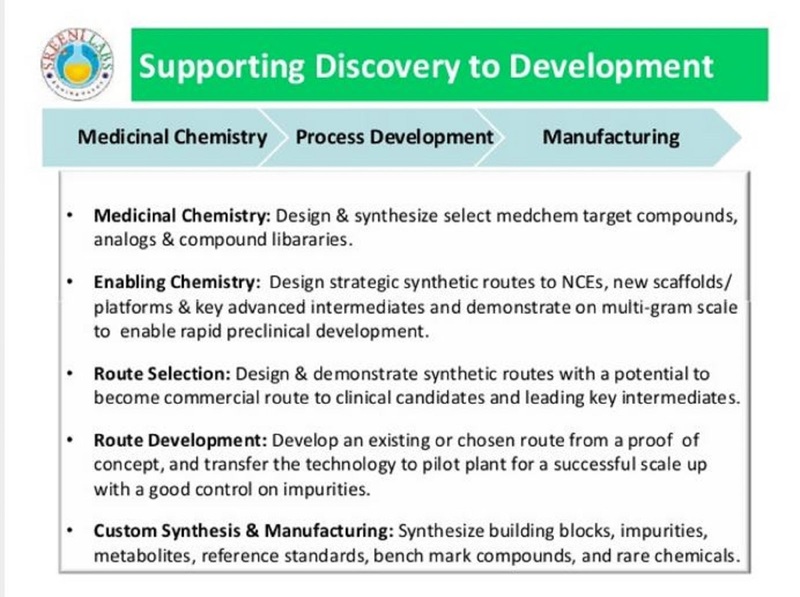 We designed synthetic routes and successfully prepared 60 compounds in a 15 month time. Dr. M. Sreenivasa Reddy obtained Ph.D from University of Hyderabad under the direction Prof Professor Goverdhan Mehta in 1992. From 1992-1994, he was a post doctoral fellow at University of Wisconsin in Professor Jame Cook’s lab. From 1994 to 2000, worked at Chemical process R&D at Procter & Gamble Pharmaceuticals (P&G). From 2001 to 2007 worked at Global Chemical Process R&D at Eli Lilly and Company in Indianapolis. 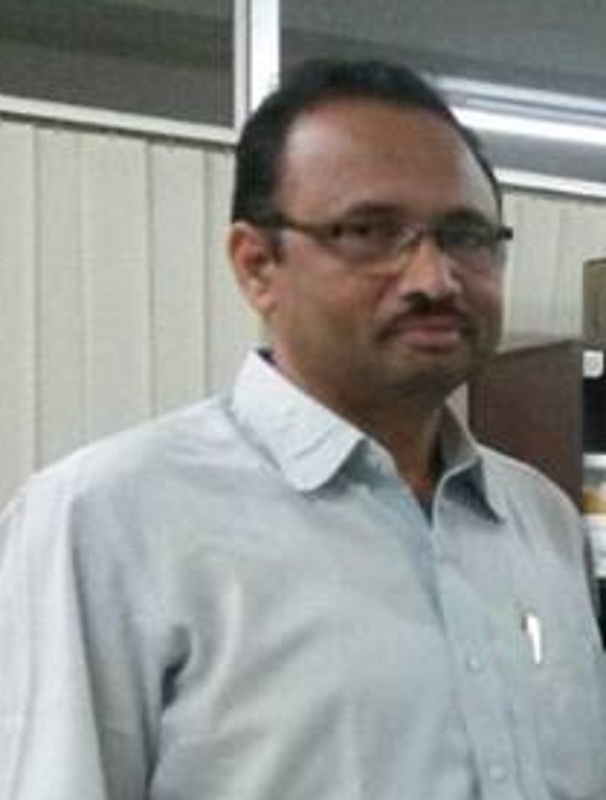 In 2007 resigned to his job and founded Sreeni Labs based in Hyderabad, Telangana, India and started working with various global customers and solving various challenging synthesis problems. 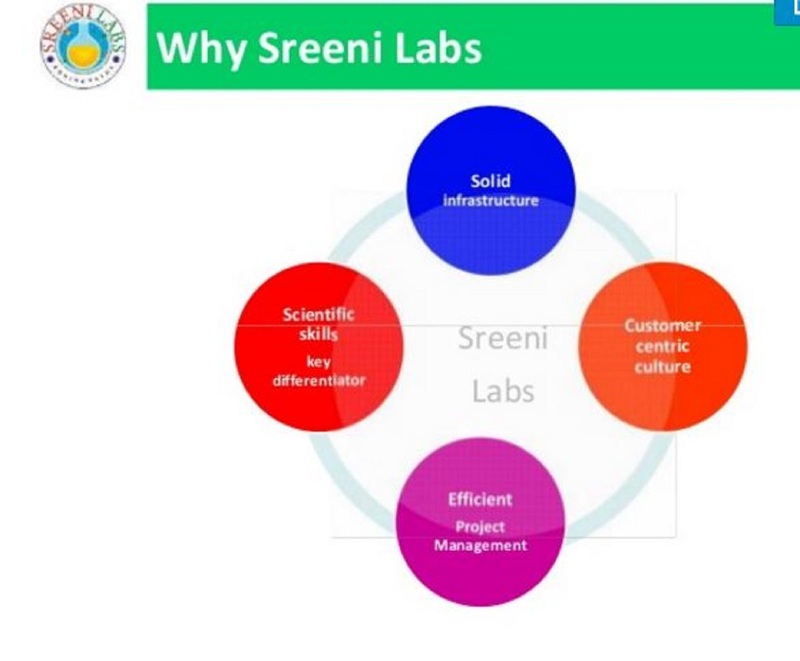 The main strength of Sreeni Labs is in the design, development of a novel chemical route and its development into a robust process followed by production of quality product from 100 grams to 100’s of kg scale. They have helped number of customers by successfully developing highly economical simple chemistry routes to number of products that were made by Suzuki coupling. they are able to shorten the route by drastically reducing number of steps, avoiding use of palladium & expensive ligands. 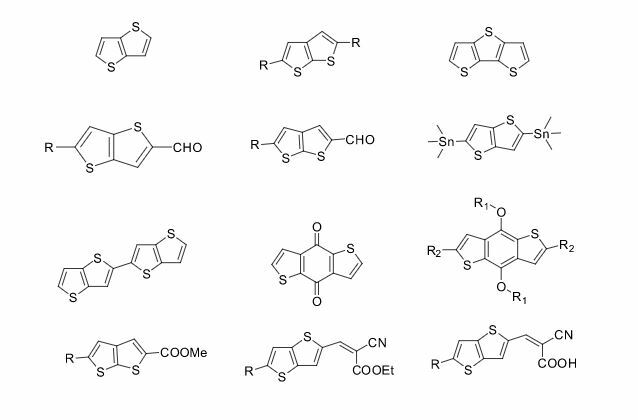 they always use readily available or easy to prepare starting materials in their design of synthetic routes. With Sreenivasa Mundla, Narahara sastry, Ram Kishan Rao, Jagadeesh Bharatam, Jagadish Gunjur and Jagadish Bharatham. 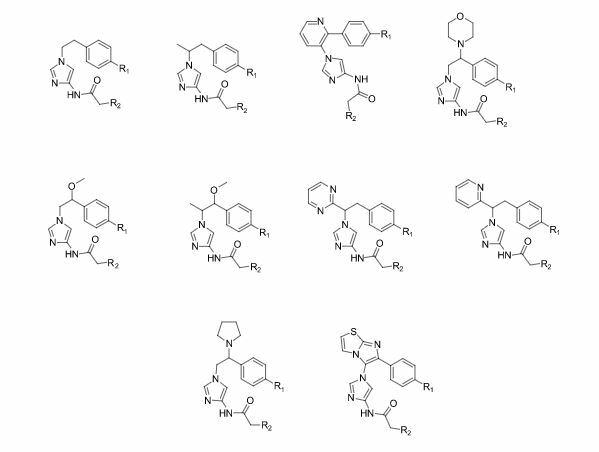 Abstract: The present invention provides crystalline 2-(6-methyl-pyridin-2-yl)-3-[6-amido-quinolin-4-yl)-5,6-dihydro -4H-pyrrolo[1,2-b]pyrazole monohydrate. 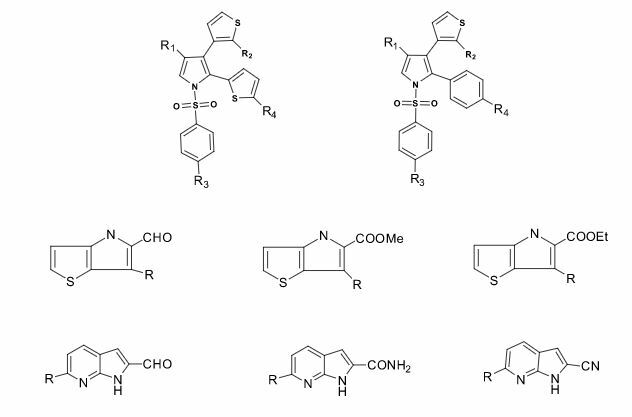 Abstract: The present invention provides crystalline 2-(6-methyl-pyridin-2-yl)-3-[6-amido-quinolin-4-yl)-5,6-dihydro-4H-pyrrolo[1,2-b]pyrazole monohydrate. 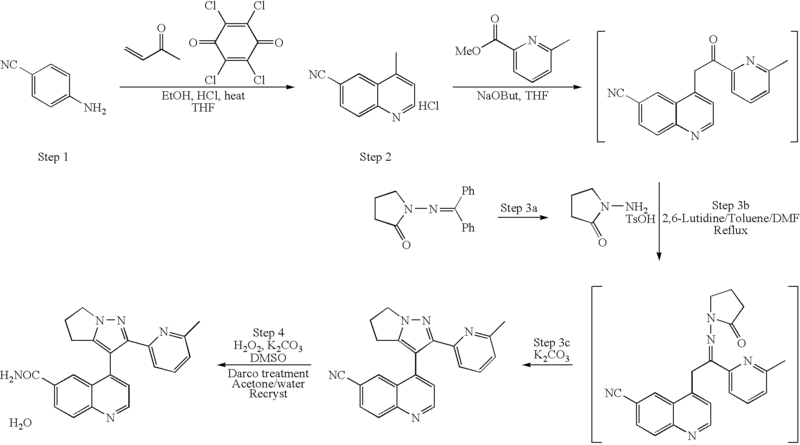 Abstract: The present invention provides a process for making 2-amino-2-imidazoline, guanidine, and 2-amino-3,4,5,6-tetrahydroyrimidine derivatives by preparing the corresponding activated 2-thio-subsituted-2-derivative in a two-step, one-pot procedure and by further reacting yields this isolated derivative with the appropriate amine or its salts in the presence of a proton source. 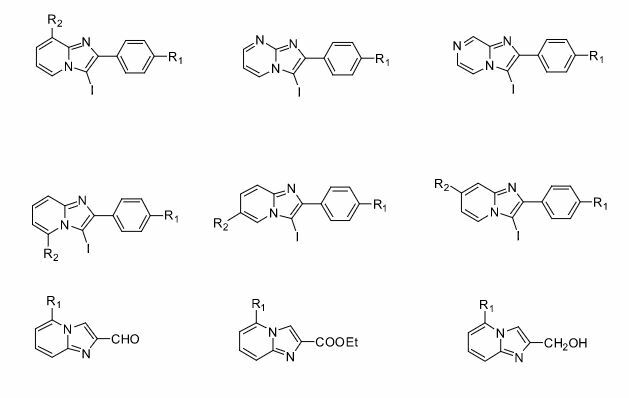 The present process allows for the preparation of 2-amino-2-imidazolines, quanidines, and 2-amino-3,4,5,6-tetrahydropyrimidines under reaction conditions that eliminate the need for lengthy, costly, or multiple low yielding steps, and highly toxic reactants. This process allows for improved yields and product purity and provides additional synthetic flexibility. 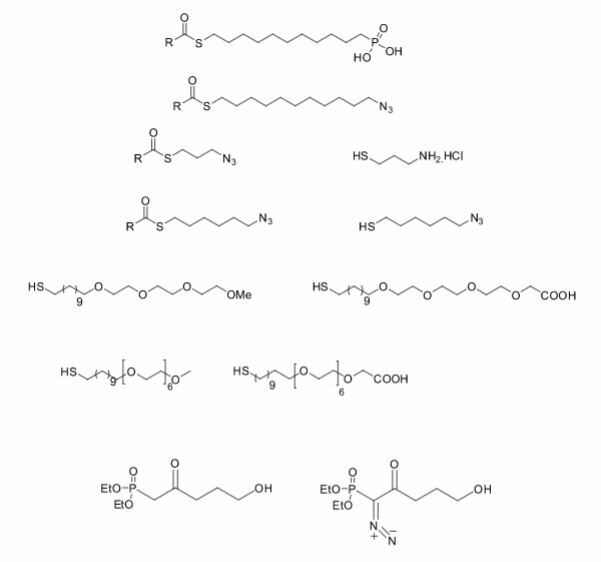 The present invention provides 2-(6-methyl-pyridin-2-yl)-3-[6-amido-quinolin-4-yl) -5,6-dihydro-4H-pyrrolo[1,2-b]pyrazole monohydrate, i.e., Formula I. A TGF-beta receptor type-1 inhibitor potentially for the treatment of myelodysplastic syndrome (MDS) and solid tumours. 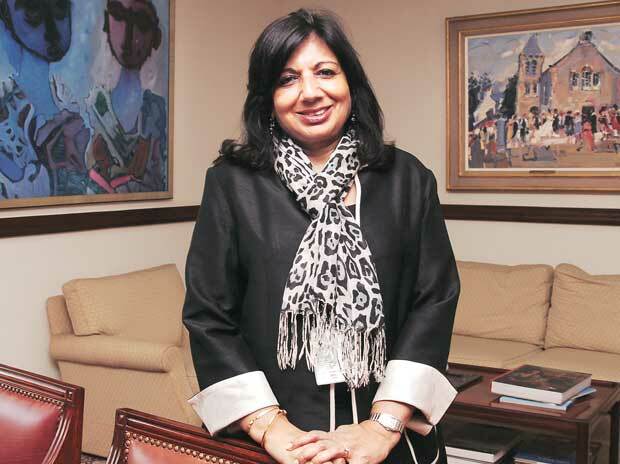 The Global Leadership Award honors a person with at least fifteen (15) years professional experience who has worked in and led an internationally based engineering, scientific or technology-based business or organization, and in doing so, serves as a role model to women engineers and technologists worldwide. A maximum of three (3) awards may be presented annually. Now I keep Lionel as my source of inspiration and helping millions, thanks to millions of my readers who keep me going and help me to keep my son and family happy. Zydus Cadila, a leading global healthcare provider, today announced that new scientific and clinical data on Saroglitazar will be presented at the 75th Annual Scientific Sessions of the American Diabetes Association (ADA) in Boston, Massachusetts, USA from 5thto 9th June, 2015. 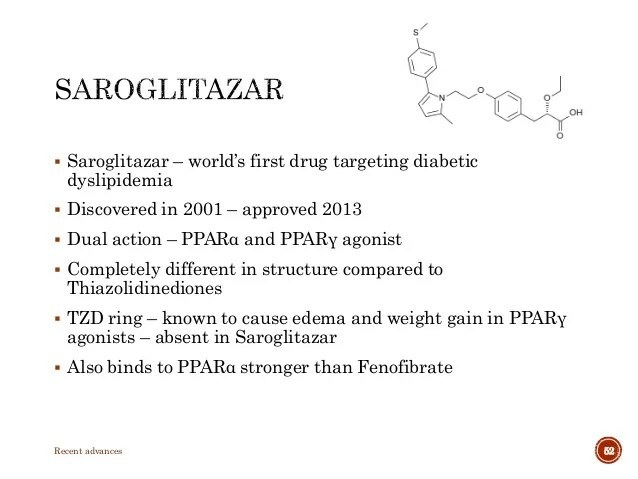 Several analyses of real-world patient data of Saroglitazar will also be presented. The abstracts are available on theADA website. Lipaglyn – The world’s first drug for treating Diabetic Dyslipidemia combines lipid and glucose lowering effects in one single molecule. Zydus is an innovation-led global healthcare provider that discovers, manufactures and markets a broad range of healthcare therapies. The group employs over 19,000 people worldwide including over 1200 scientists engaged in research and is dedicated to creating healthier communities globally. With a strong research pipeline of NCEs, biologics and vaccines, the group became India’s first pharmaceutical company to launch its own indigenously researched therapy Lipaglyn which is also the world’s first approved therapy for diabetic dyslipidaemia. Exemptia, the world’s first biosimilar of Adalimumab is also a product of Zydus innovation. Zydus also collaborates with partners to support and make therapies affordable and accessible to communities across the world. As a leading healthcare provider, it aims to become a global research-based pharmaceutical company by 2020. Lipaglyn (Saroglitazar) sparkled bright at the first ever Indian Heart Journal Award Ceremony at the Cardiological Society of India’s Annual Conference, Chennai attended by a galaxy of leading cardiologists from across India. 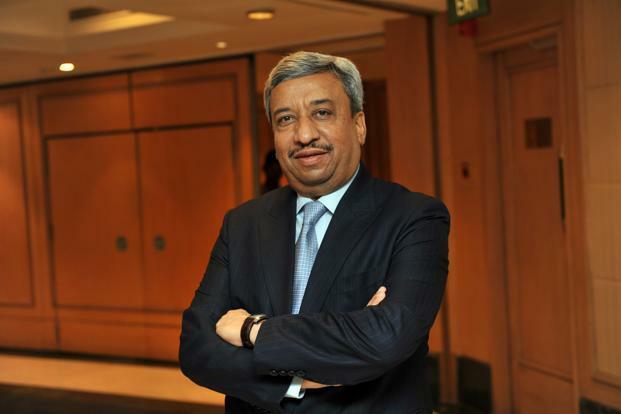 Zydus Cadila has announced a breakthrough in the anti-diabetic drug Lipaglyn. Lipaglyn – The world’s first drug for treating Diabetic Dyslipidemia combines lipid and glucose lowering effects in one single molecule. The Zydus Group announced a breakthrough in its research efforts with Lipaglyn (Saroglilazar), a novel drug targeted at bridging an unmet healthcare need for treating Diabetic Dyslipidemia or Hypertriglyeeridemia in Type II diabetes, not controlled by statins alone. The drug has been approved for launch in India by the Drug Controller General of India (DCGI). 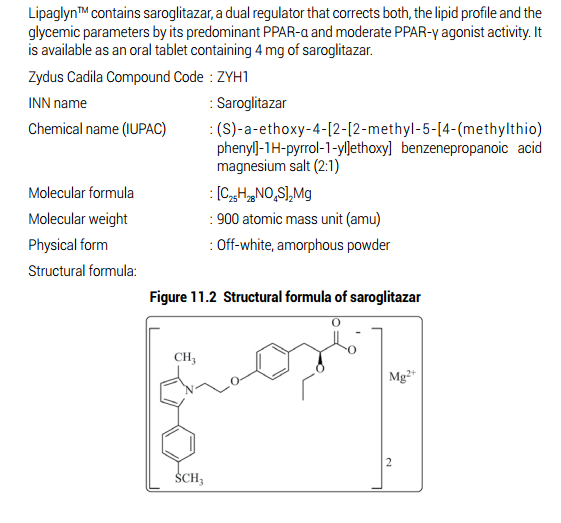 With a novel action that offers lipid and glucose lowering effects in one molecule, Lipaglyn is the first Glitazar to be approved anywhere in the world. World over, it is estimated that 30% of all deaths occur due lo cardiovascular diseases (CVD). In India, one out of every five persons is at serious risk of developing CVD, Research has shown that diabetes is one of the major risk factors of CVD. India has a population of nearly 65 million diabetics and 77 million prc-diabctics, 85 – 97% of the diabetes patients suffer from dyslipidemia or lipid abnormalities. Hence, addressing the problem of diabetes and dyslipidemia is crucial in tackling the health risk posed by CVD. As a part of the clinical development programme, extensive Phase-I, Phase-II and Phase-Ill clinical trials were conducted to evaluate the phamacokinetics, pharmacodynamics, efficacy and safety of Lipaglyn. The new drug application for Lipaglyn1 was based on a comprehensive clinical development programme spanning eight years. In the second Phase III study, Lipaglyn was studied in diabetic dyslipidemic patients insufficiently controlled with statin therapy. 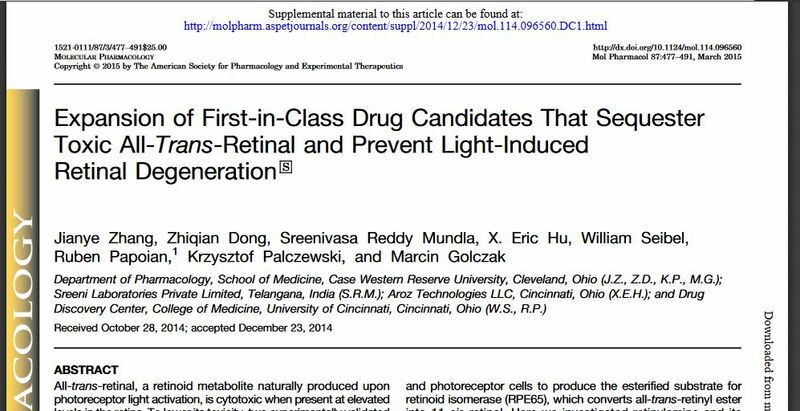 The results from this study confirmed that Lipaglyn had a pronounced beneficial effect on both the lipid and glyeemic parameters in these subjects. 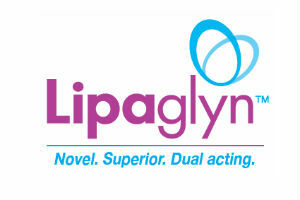 In both the studies, Lipaglyn was well tolerated and had a better safety profile than the comparators. Importantly Lipaglyn1 M has a non-renal route of elimination, and did not show adverse events like edema, weight gain, myopathies or derangement of liver and/or kidney functions, thus making it sale and efficacious. LipaglynIM is recommended for once daily administration as 4 mg tablets. Zydus will offer a dedicated LipaglynIM support programme to patients and earegivers, The programme shall provide important support and information regarding access, adherence, education and thereby help patients to start and appropriately manage their disease and therapy over time. Lipaglyn[TM] (Saroglitazar) was launched in September 2013 in India, for treating Hypertriglyceridemia and Diabetic Dyslipidemia in Patients with Type 2 Diabetes not controlled by statins. Since then, more than 80,000 patients are availing this drug with a prescriber base over 3500 diabetologists, cardiologists and physicians. Lipaglyn[TM] helps in a reduction of triglycerides and LDL (bad) cholesterol, and an increase in HDL (good) cholesterol and has also shown a reduction in Fasting Plasma Glucose and glycosylated haemoglobin (HbA1c), thereby confirming its beneficial effects on both lipid and glycemic control in diabetic patients. Lipaglyn[TM] is a prescription medicine, and can be taken only under the advice and guidance of a registered medical practitioner. Zydus Cadila is an innovative, global pharmaceutical company that discovers, manufactures and markets a broad range of healthcare therapies, including small molecule drugs, biologic therapeutics and vaccines. The group employs over 16,500 people worldwide including over 1200 scientists engaged in R & D and is dedicated to creating healthier communities globally. As a leading healthcare provider, it aims to become a global research based pharmaceutical company by 2020. New Delhi, Jun 8 (UNI) Healthcare services provider, Zydus Cadila today said the new scientific and clinical data on Lipaglyn (Saroglitazar) will be presented at the 75th annual scientific sessions of the American Diabetes Association (ADA) in Boston, Massachusetts, US from 5th to 9th June,2015. 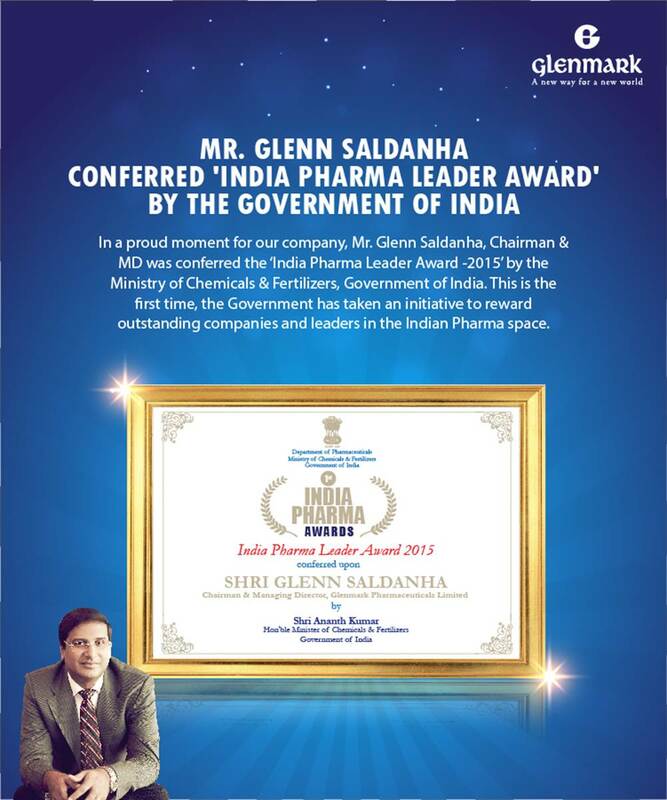 Indian Ministry for Chemicals and Fertilizers on Thursday conferred 1st India Pharma awards to 12 Indian drug companies under various categories to motivate Indian Pharma and medical devices industries. As per reports, Union Minister for Chemicals and Fertilizers Ananth Kumar conferred 1st India Pharma awards in Bengaluru on Thursday evening. Speaking on the occasion, Ananth Kumar said that the Pharma Industry in the country is growing at a higher rate than GDP and needs to be complimented for this. “Indian government would like domestic Pharma industry to be global leaders,” he said, adding that the government and the Pharma entrepreneurs will work together as team Pharma India, with the aim of serving millions of ailing people. He also assured full support to the industry. Speaking on the occasion the Shri Ananth Kumar said that the Pharma Industry in the country is growing at a higher rate than GDP and needs to be complimented for this. He said that the government would like domestic Pharma industry to be global leaders. He said that the government and the Pharma entrepreneurs will work together as team Pharma India, with the aim of serving millions of ailing people. Shri Ananth Kumar assured full support to the industry. A simple and practical one-pot, two-directional approach to access olefinic esters through simultaneous breaking and making of olefins using ozonolysis of alkenyl aryl selenides is disclosed. 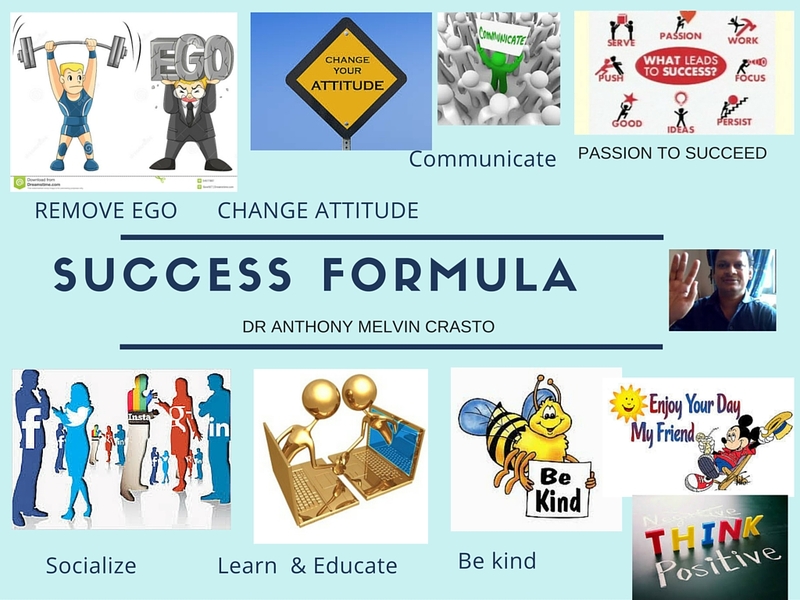 The scope of the method with a variety of examples is demonstrated, and the end products obtained here are useful building blocks. 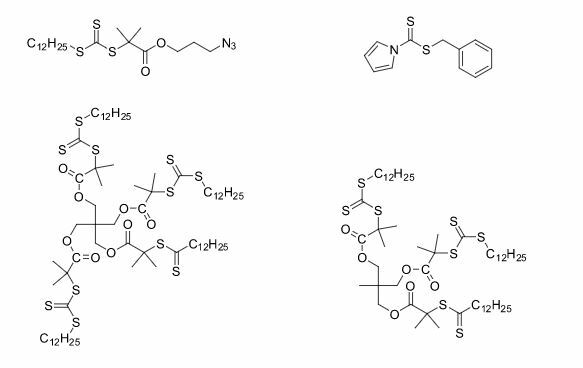 As a direct application of the present method, the macrocyclic core of potent anti-inflammatory natural cyclic peptides, solomonamides, is synthesized.